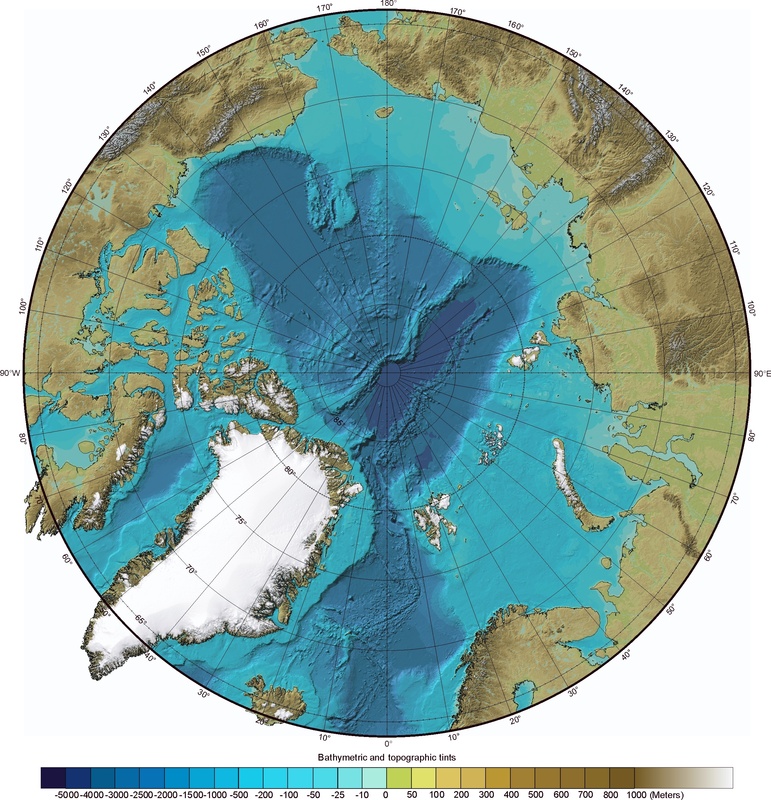 Shown below is the International Bathymetric Chart of the Arctic Ocean which was produced by a team of investigators from Canada, Denmark, Germany, Iceland, Norway, Russia, Sweden, and the USA. It can be considered a "physical map of the Artic Ocean" as it shows the bathymetry, ridges and basins that are part of this important area. Related: Arctic Ocean Seafloor Features. Naval Research (ONR), and the US National Geophysical Data Center (NGDC).